Besgrow Coirmulch is an attractive decorative material for a variety of applications including gardens, playgrounds, curb sides and top of pot plants. Coirmulch is produced by cutting the whole husk of the coconut into cubes. Coir Mulch helps to retain moisture in the soil and suppresses weed growth. Each block of Coirmulch contains approximately 60g of hydro-complex fertilizer that helps to add nutrients to the soil. 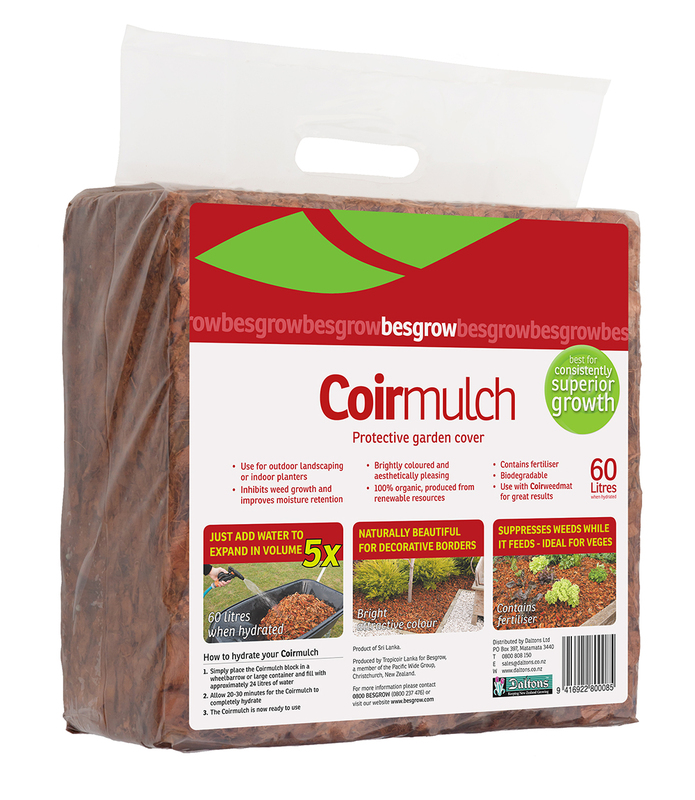 Besgrow Coir Mulch is easy to use. Simply remove from bag, place in wheelbarrow or large container and fill with approximately 24 litres of water. After allowing 20-30 minutes for the Coirmulch to hydrate it will be ready to use.